I am delighted to be featured - along with 7 other artists - in the 2nd issue of Inspirational (Feb 2015) - an e-magazine devoted to the arts from John Hopper, the author of The Textile Blog. Copies of this issue and all issues of the magazine to date are available here. 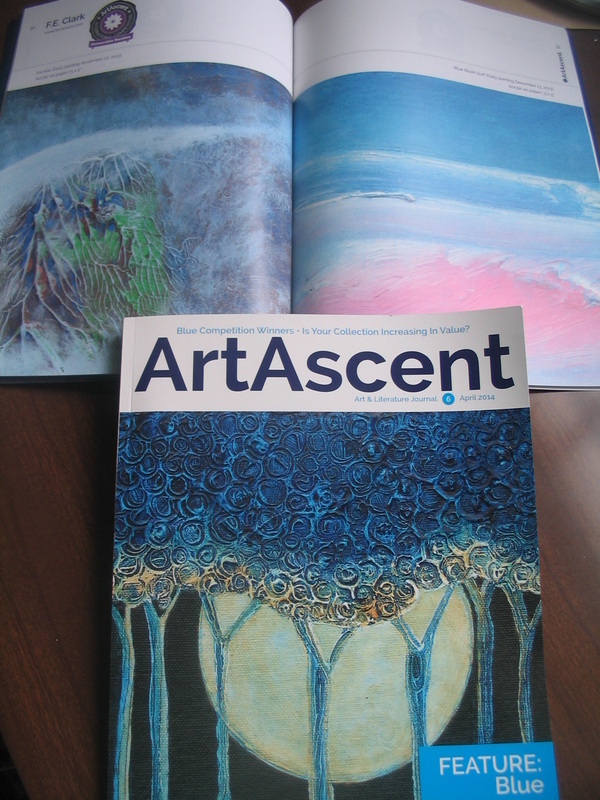 Fabulously excited to have my Blue Moon painting on the cover of the Blue themed ArtAscent issue, March, 2014 and also 2 Daily Paintings featured inside. Seeing these in print is such a boost and I am delighted with the Honourable Mention too. 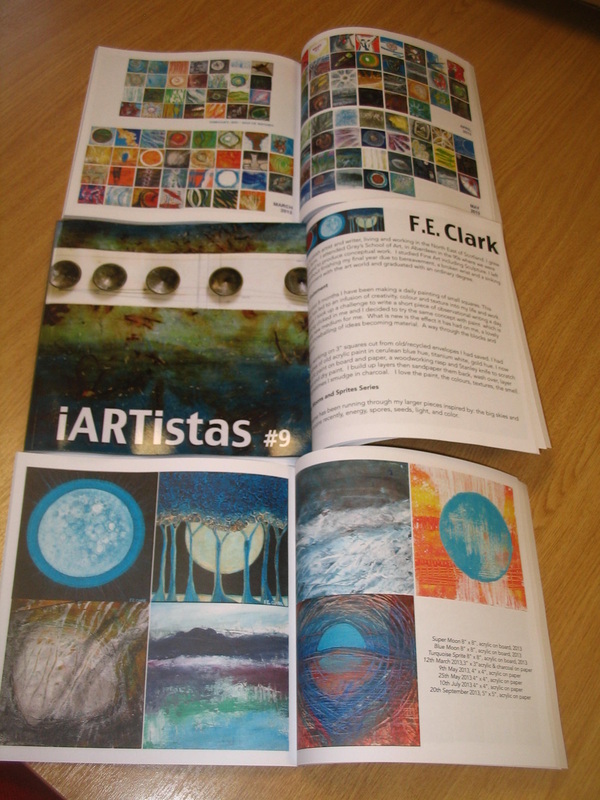 I was delighted to be asked to contribute to issue #9, 2013, of iArtistas Magazine - read my blog post about it here. Available for purchase from here.